• This display maintains pre-heated, cooked food at a regulated temperature. • A ceramic hotplate display with individual elements per gastronorm module, collectively controlled by a single electronic controller. 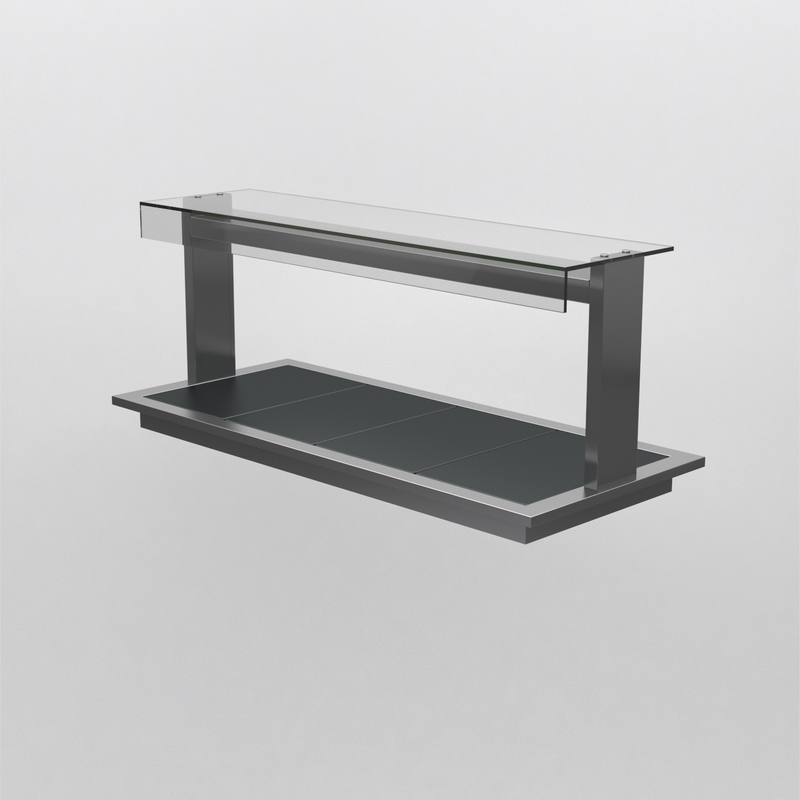 • Quartz heat lights over display controlled electronically. 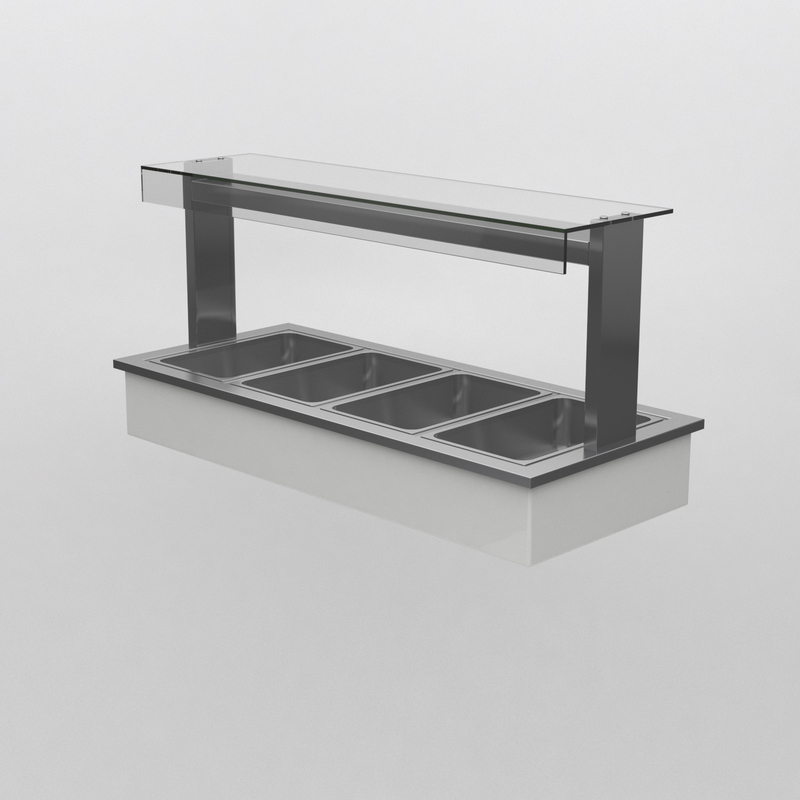 • The heated display bain marie offers unparalleled fexibility of use. • Controllable top and base heat. 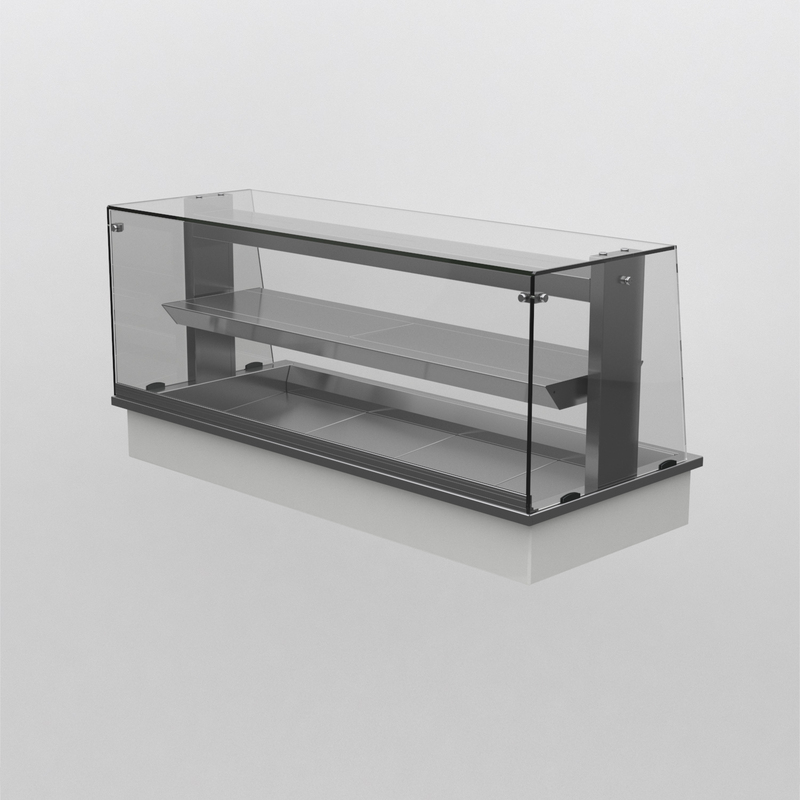 • Available as a wet well bain marie or dry well bain marie. • Available in assisted service or self service. • Gastronorm containers are an optional extra.